"Gems from Genesee River & Wyoming Valley Scenery." This delightful view shows a party of tourists inside the the Portage Wooden Bridge. The stairs and walkways allowed tourists to descend from the deck of the bridge all the way to paths which led to the Glen Iris Estate. An enlarged image is found below. 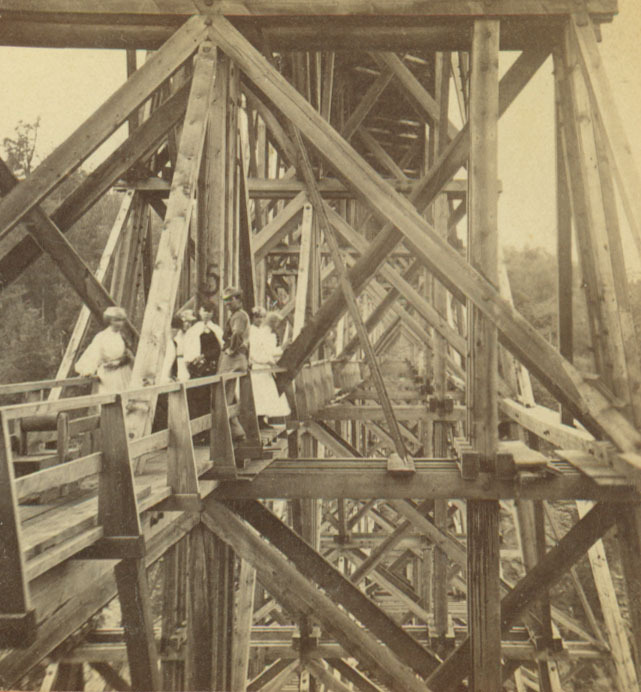 For more information, see the Glimpse of the Portage High Bridge.